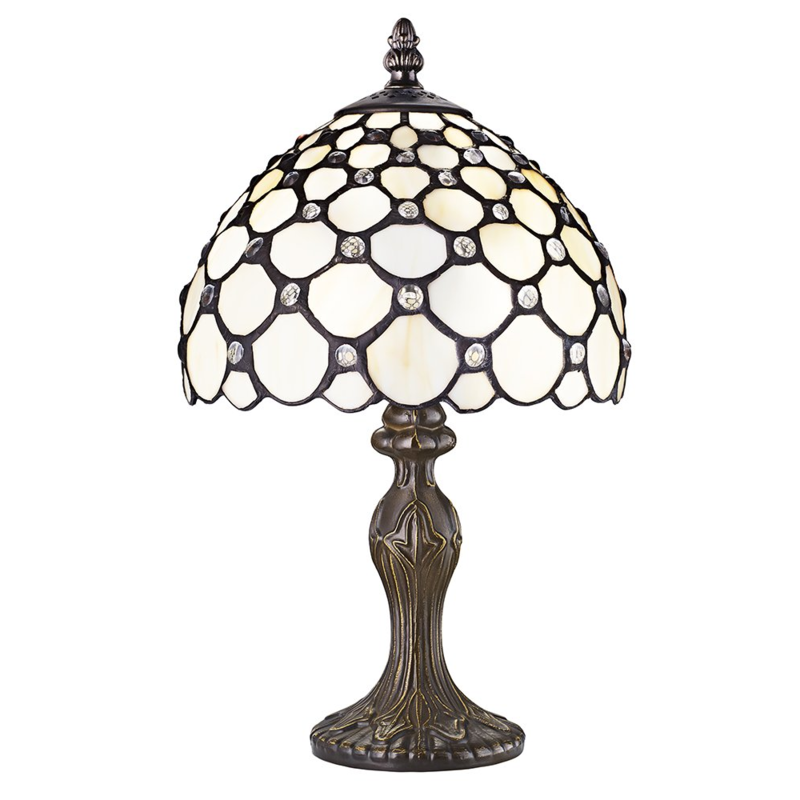 Traditionally designed handmade white tiffany table lamp with multiple transparent glass jewels. 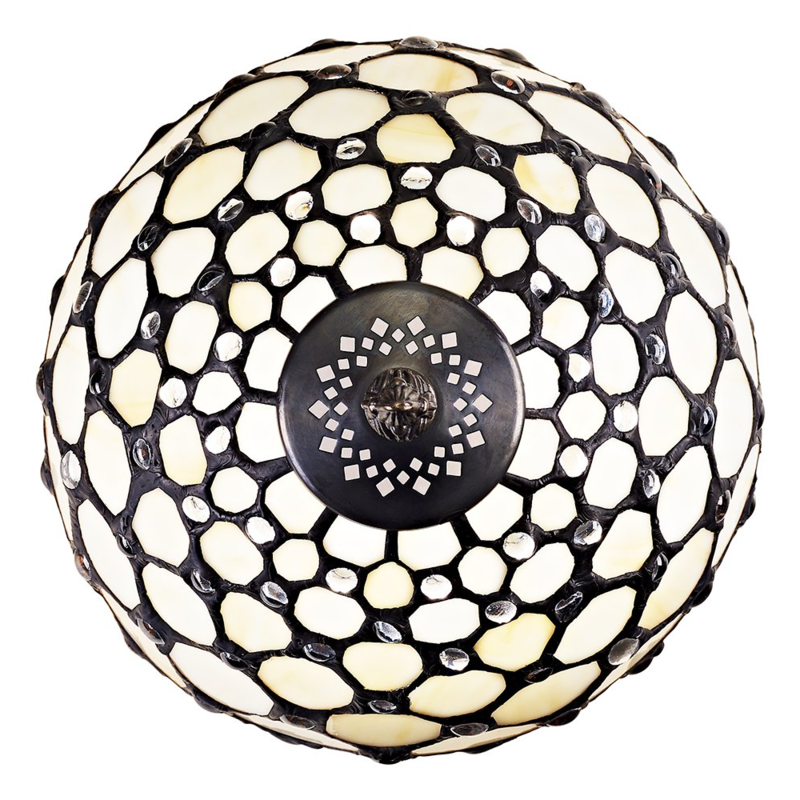 Measures - Height: 36cm, Diameter: 20cm. Includes inline on/off rocker switch button.